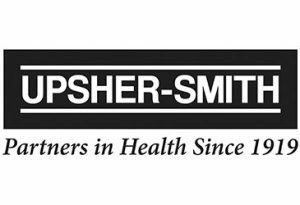 MAPLE GROVE, MN – Upsher-Smith and the National Alliance of State Pharmacy Associations (NASPA) recently recognized the recipients of the 2018 NASPA Excellence in Innovation Award. Forty pharmacists from across the nation were recognized for their outstanding contributions to the profession of pharmacy. The annual award is coordinated by NASPA and sponsored by Upsher-Smith. Founded in 1927 as the National Council of State Pharmacy Association Executives, NASPA is dedicated to enhancing the success of state pharmacy associations in their efforts to advance the profession of pharmacy. The Excellence in Innovation Award recognizes pharmacists who have demonstrated significant innovation in their practice, method, or service directly or indirectly resulting in improved patient care and/or advancement of the profession of pharmacy. The award is presented by participating state pharmacist associations.